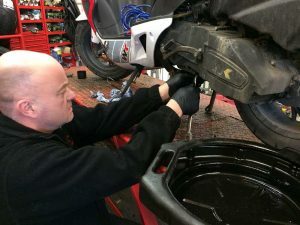 We have served the motorcycling community since 1984 and know you want your bike or scooter to be maintained to the highest possible standards at an affordable price. Motorcycle Pit Stop has a Government approved M.O.T test station on-site. From loose wheels to wheels on bikes. We can fit any Tyre. Here at Motorcycle Pit Stop we only use the best Oils and Batteries. If your motorcycle or scooter breaks down, bring it to us or call - we can pick it up. In the next step, we evaluate the damage and inspect your motorcycle or scooter for other possible problems. We notify you about the price. After your approval, we start the repair. 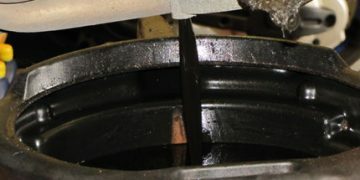 Duration of repairing depends on the damage, availability of parts and our time frame. 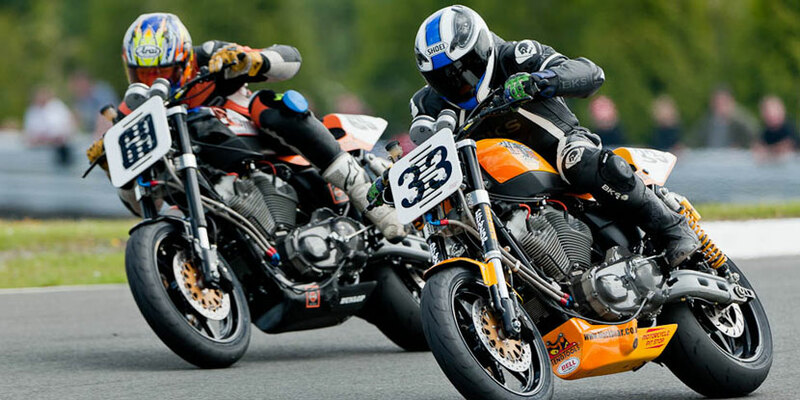 Motorcycle Pit Stop has served the motorcycling community for many years now, and our goal is to resolve all vehicle repair, service issues in a warm and professional environment, and to provide the best bike repair and service experience to our customers. We hope to win every customer's trust and confidence by treating them fairly and with the highest standard. With this in mind we aim to maintain your bike to the best possible standards at an affordable price. 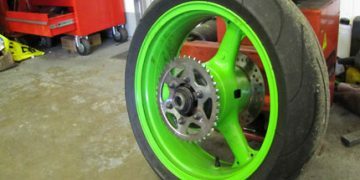 We service all bikes, scooters and can offer original manufacturer parts to keep your warranty valid on new bikes, and provide high quality servicing, repairs without you having to pay main dealer rates. 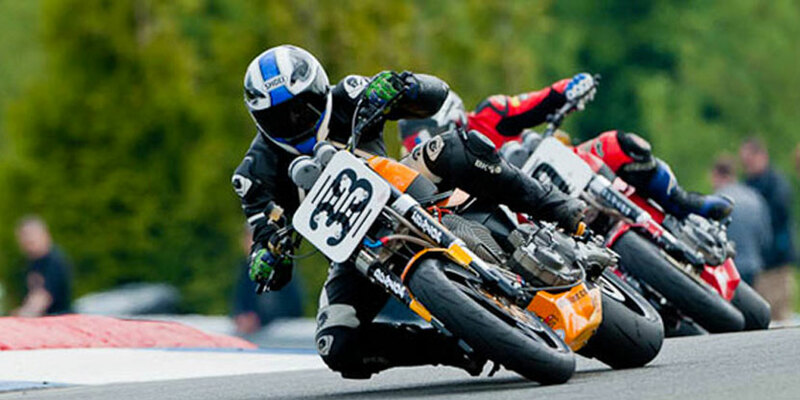 Aftermarket parts are available to keep the cost down for older bikes. We also offer a delivery and collection service if you are unable to ride your bike to our workshop. 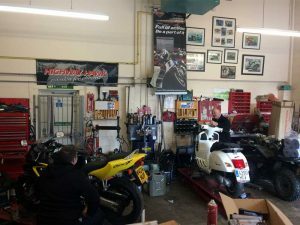 Our efficient workshop is set up to service all makes of motorcycles from mopeds and scooters all the way through to Harley's and Super-bikes. 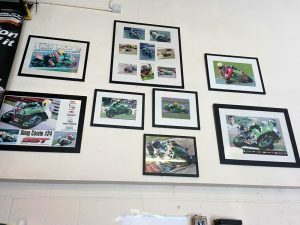 We also look after race bikes, which is not surprising at all since we have done a lot of work for factory Super-bike teams in the past as well as running... our own successful British Super-sport racing team. Doug Cowie on Number 33 Black Bears Harley Davidson. Serivce, M.O.T, Repair, Insurance work, Tyre fitting, Oil change & Battery fitting, Suspension Set Up. Ralph just seems to go the extra mile to get the job done, very much appreciated. Especially on my older bikes where a simple job can often turn into a day long headache. Ralph has been thoroughly trusted with all my bikes since 1999. Always great advice, service, accommodates collections and drop off's. Really helpful and knowledgeable guy. Just had a set of Conti motions fitted on a Honda NC750. They recommended the tyre for good handling and value, and i'm delighted with the purchase. I can actually lean the bike over now with confidence ! Best bike Repair shop in the area! Everyone here is professional and they treat you like a person unlike many other repair shops. They are honest and will work with you. I have been going here for all my repairs in the last few years. Brilliant motorcycle garage. 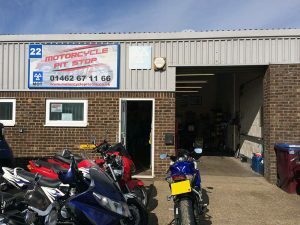 I've been using motorcycle pit stop for the past 8 years for my two Ninjas for servicing, MOT's, new tyres, valve clearance, repairs with original genuine parts and custom work. Never had a problem and they have always been clear with pricing and parts and always offered good sound advice and are very personable. This is why I trust them with my bikes and don't take them anywhere else for anything that they may need. You can even get a free tea or coffee! Can't ask for anything better really. I got a good, reliable service. With attention to detail and direct communication about the bike problems I should be aware of. The staff is always friendly and welcoming, which is another big plus. These Pit stop guys are amazing. My bike is finally repaired. 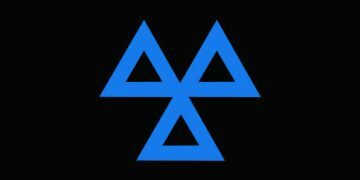 Quickest service, MOT and approach - the work is done correctly and with regards to my needs. I'm beyond happy with Motorcycle Pit Stop's fixing my bike, and keeping up too date with me. It costs less and I know my vehicle will be as good as new. Brilliant service, friendly, know what they're doing and reasonable price. 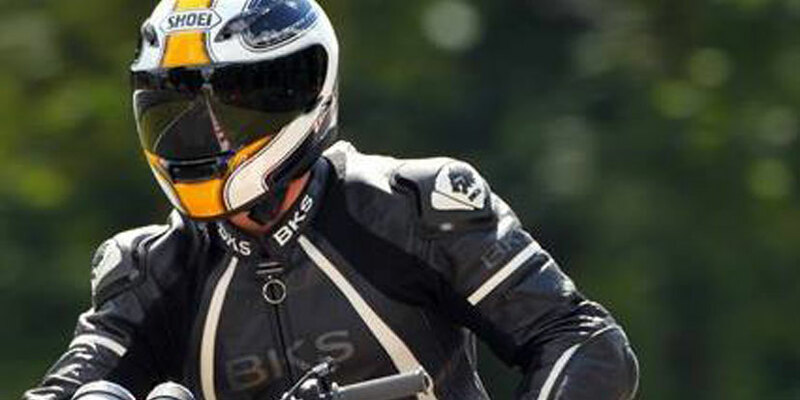 The best of the Motorbike service shops in the area. MoT, tyres and service at the same time. Wouldn't go anywhere else now. Just Had my bike in for mot. fast friendly service and the kettle is always on. I have had loads of work done on my bikes here over the last 5 or 6 years and the guy is as honest as they come and always gives an excellent service and price. I have been using Motorcycle Pit Stop since gaining my license after several years not riding bikes that was six plus years ago. It is a thriving and very busy workshop which doubles as a drop in centre for bike minded sorts. The kettle is always on and the banter good. As I am a greedy sort, the three machines I own a Harley being one are always serviced and Mot'd there. The shop even has accreditation from Black Bear Harley in Newmarket to service and stamp up the log books so hardly a fly by night outfit. The owner is always very busy but will drop tools and look after you. Inside There are always bikes up on the ramps in various levels of strip down, real mechanical work and not just new plugs and oil. Of course you cannot expect the guy to work for nothing and if you bought your stuff from flea bay you would more likely get a better price as he doesn't have the buying strength. He does however have masses of know how which he imparts (if you furnish them with biscuits). Thoroughly recommended. 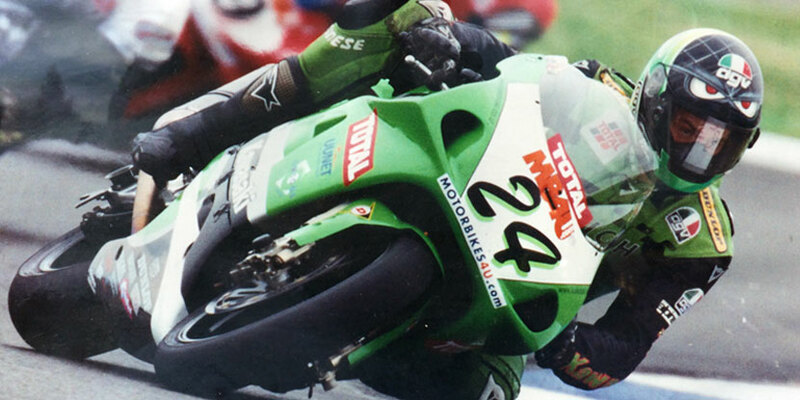 I have been using Pit Stop for about 13 years now and have MOT's, services and repairs carried out to my 4 motorbikes. The owner is always very helpful and goes out of his way to accommodate for e.g. he picked up one of my bike's from my home address to save me taking it to him for repair and he didn't charge me anything at all. As it was a battery lead that had come off he very kindly waivered the cost of this too. This is very unusual for any workplace nowadays to give this type of service. There is always a friendly cuppa on offer should you want one whilst you wait for any MOT's or small repairs to be done. On one occasion one of my bike's fork seal needed replacing and instead of the owner carrying out the work he very kindly offered me the use of his workshop and with his guidance I could carry out the work myself under his supervision. The customer service has been first class and I always feel happy and confident to return and recommend to fellow bikers. Been using these guys forever, learnt to ride from here maybe 10years ago and been going back ever since. Puncture fixed as a walk in within twenty minutes with some classic motorcycle knowledge imparted. Would recommend. Highly recommended, very experienced mechanics, always friendly & cheerful, not at all expensive either. Your bikes are our passion. We treat your bike like it's our own, and aim to win your confidence, trust by honest hard work and dedication to your bike, supplying you with the best customer experience possible.